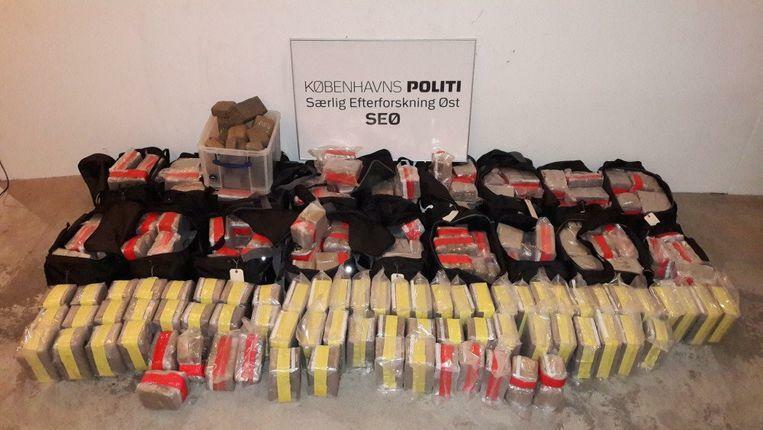 ©Københavns Politi-Half a ton of hash found on Danish island of Zealand. The Danish police discovered about half a tonne of hashish in a single drug search. The find has a street value of about 25 million Danish krone, equivalent to 3.8 million United states dollar. Seven people, between the ages of 25 and 45, have been arrested in various places on the island of Zealand, reports the police in Copenhagen. The police gave no further details about the course of the investigation and the accusations against the arrested persons. They were led behind closed doors. The action is part of an ongoing investigation of police forces from different countries against organized drug smuggling in Scandinavia. The Scandinavian countries are a lucrative target for drug smugglers. In October three men were arrested in Norway who had landed in a small airfield in Kjeller near the capital Oslo with a small plane from Germany without permission. On board the police found 50 kilograms of hashish and pills.